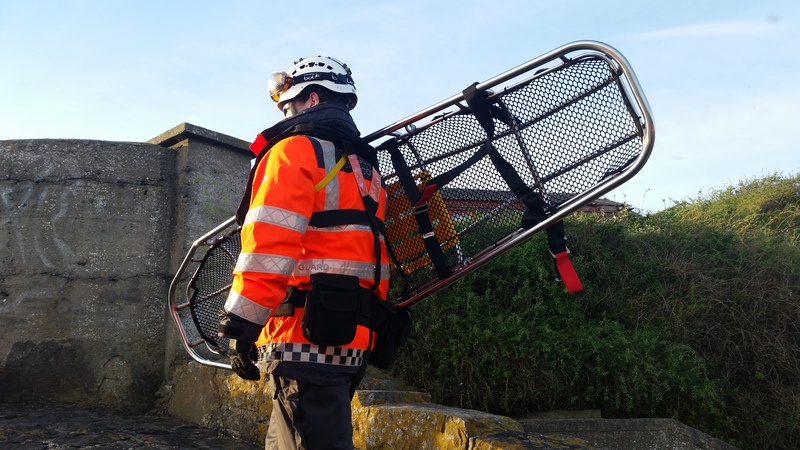 This morning the Skerries Coast Guard team took part in a search and rescue training exercise at the South Beach in Rush, Co Dublin. This was a scenario based search exercise for a missing person and concluded with a casualty extraction exercise from the sand dunes. 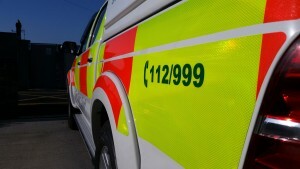 Weather conditions on scene were excellent with good visibility. 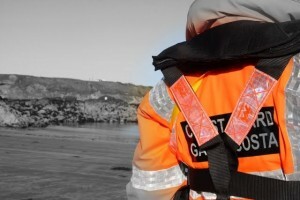 Remember – if you spot someone in difficulty dial 112 or 999 and ask for the COAST GUARD. Your call could save their life. 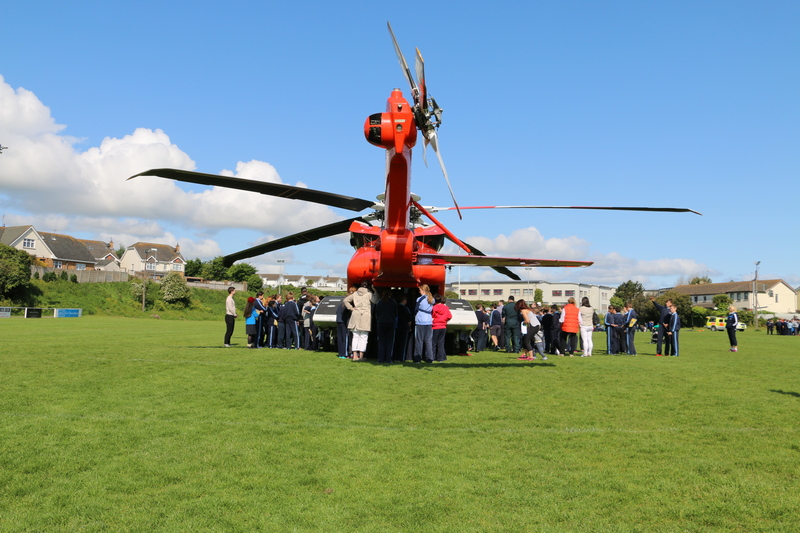 This morning, the Skerries Coast Guard team hosted a visit from the Irish Coast Guard’s Sikorsky S92 helicopter. 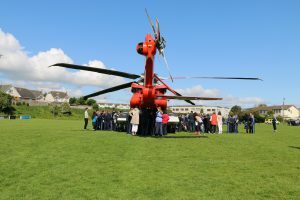 The Coast Guard helicopter landed on at Skerries Harps GAA pitch for special visit for the pupils of Scoil Realt na Mara primary school, Skerries. 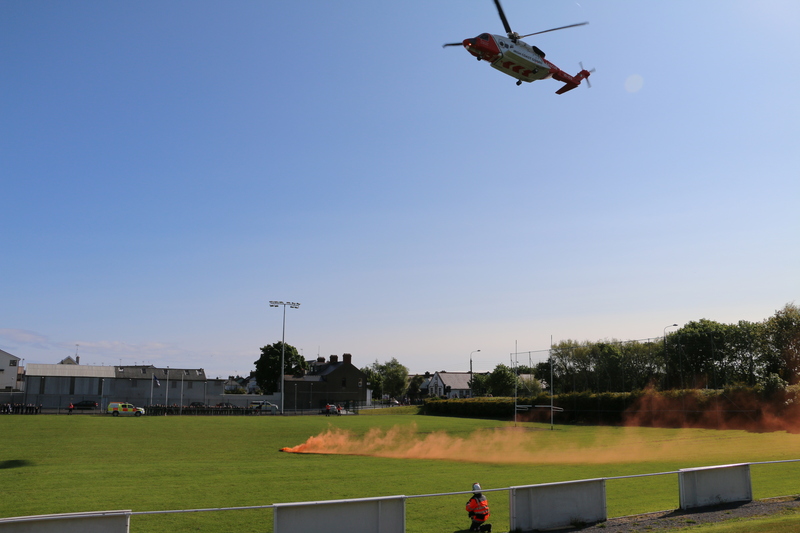 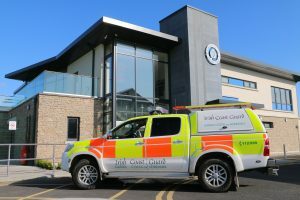 The Coast Guard’s helicopter landed on at the Skerries Harps GAA pitch at 09:30, with orange smoke flares deployed shortly beforehand to assist with wind speed/direction indication. 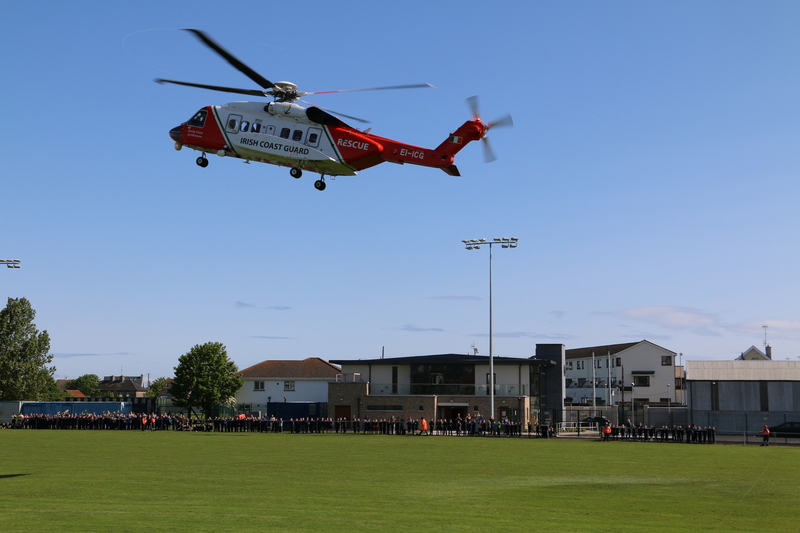 Guard helicopter crews, their local Skerries Coast Guard team and also the importance of water safety. The helicopter departed on schedule shortly after 11:00am, bringing to a close a thoroughly enjoyable event for all involved. 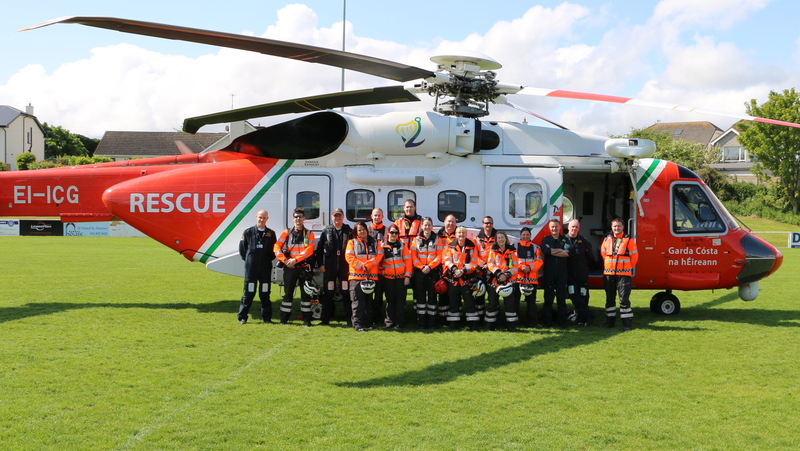 Further photos of this visit will shortly be available in our online gallery. Skerries Coast Guard extends its thanks to the Skerries Harps GAA club for allowing the use of their pitch to facilitate this helicopter visit.